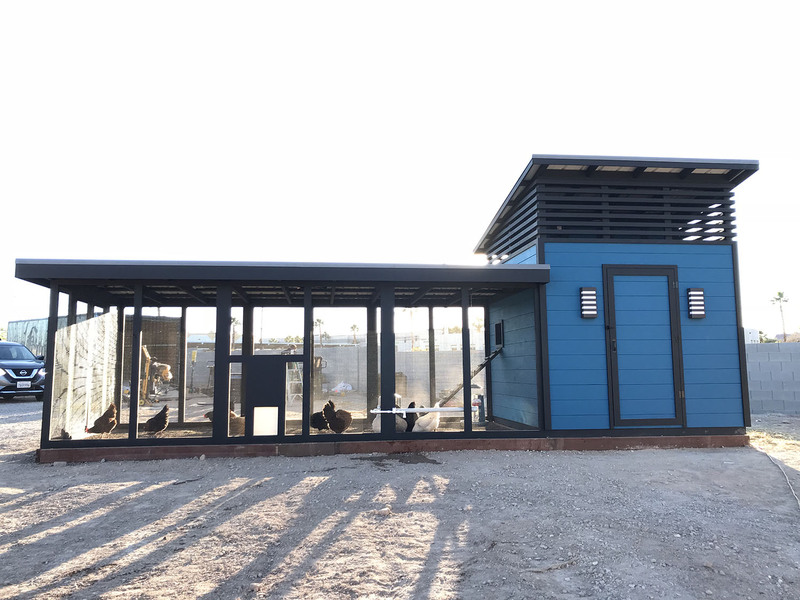 Chicken coops any way you want. 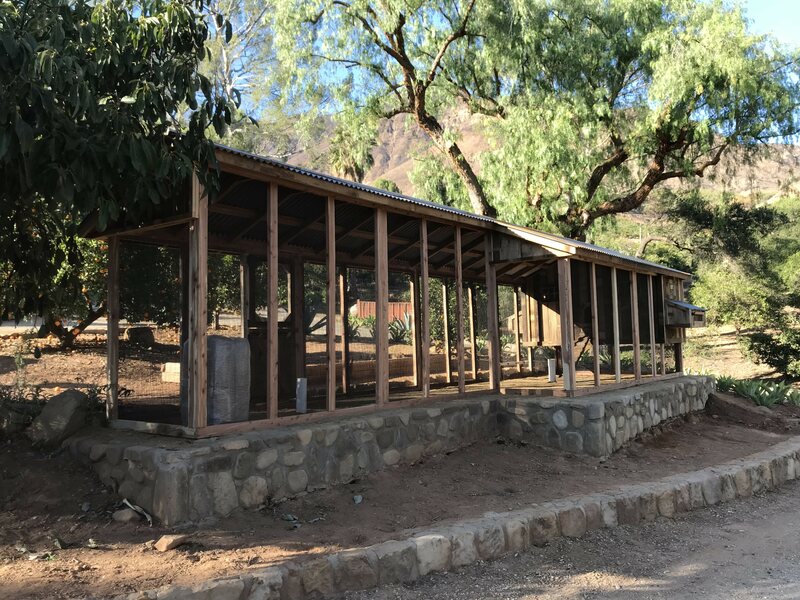 The only limitation is your imagination. 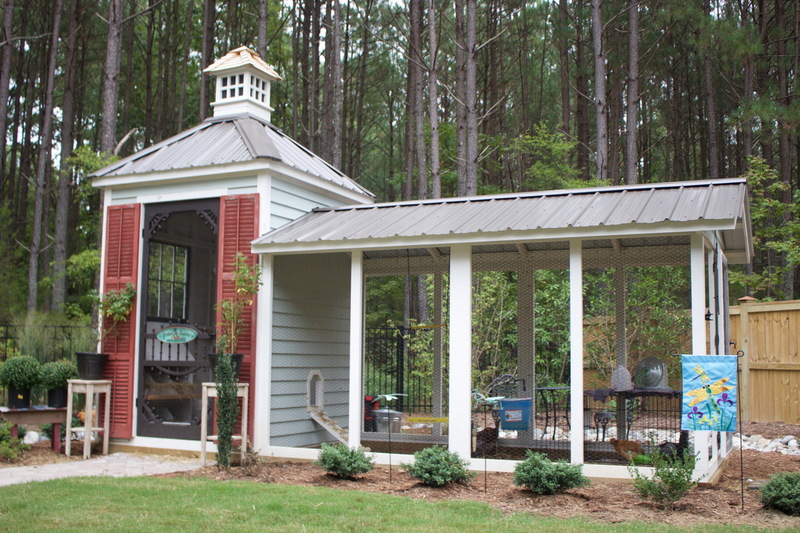 Work with our designers and builders to get the chicken coop of your dreams. 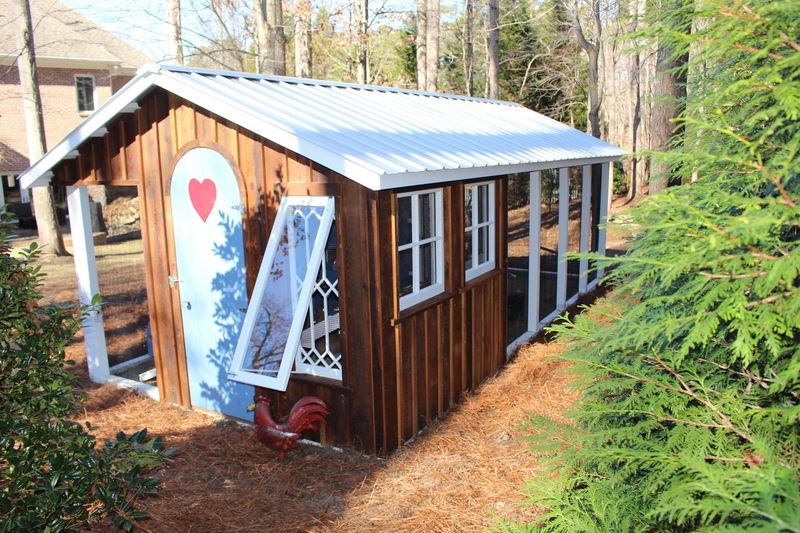 Check out these coops and get inspired! 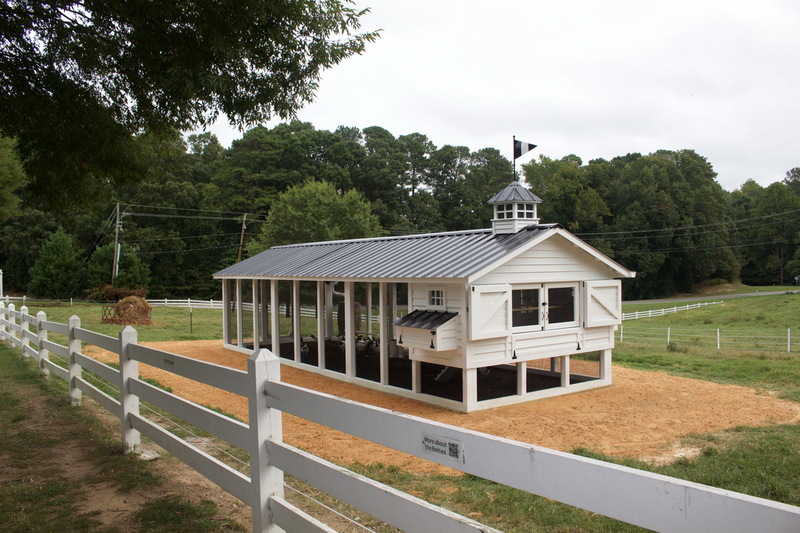 Contact us today to order your custom chicken coop! 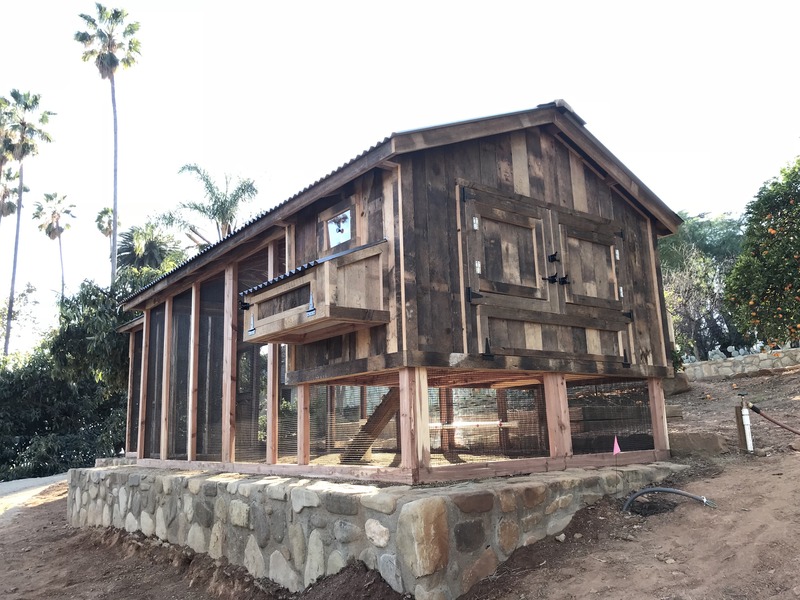 Custom chicken coop with 200-year-old reclaimed barn wood board and batten siding Modesto, CA. 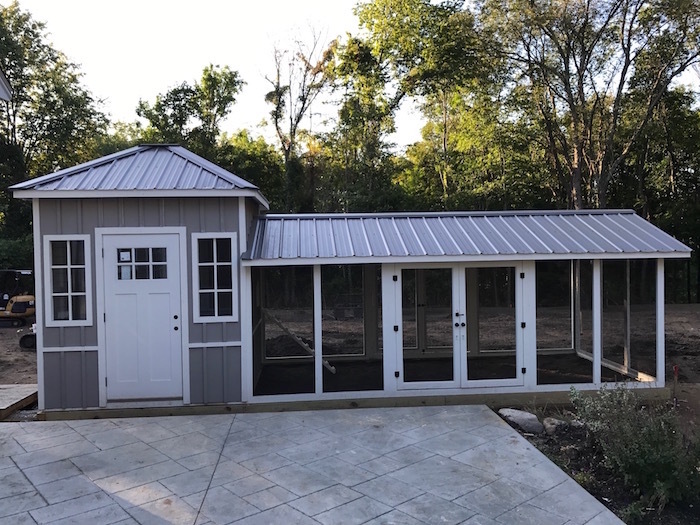 Our fan favorite custom chicken coop with a split roof line, dutch door, and board and batten siding. 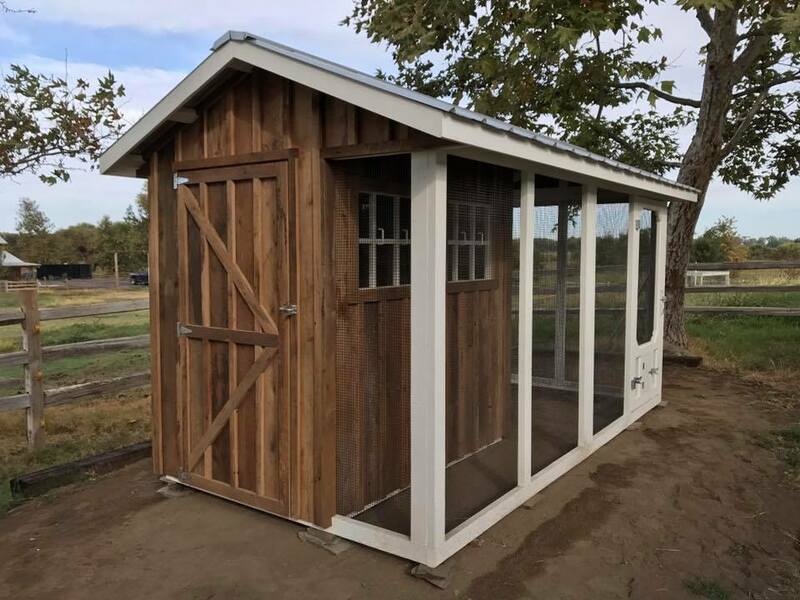 40-foot long custom chicken coop with extended cupola, reclaimed board and batten siding in Calistoga, CA. 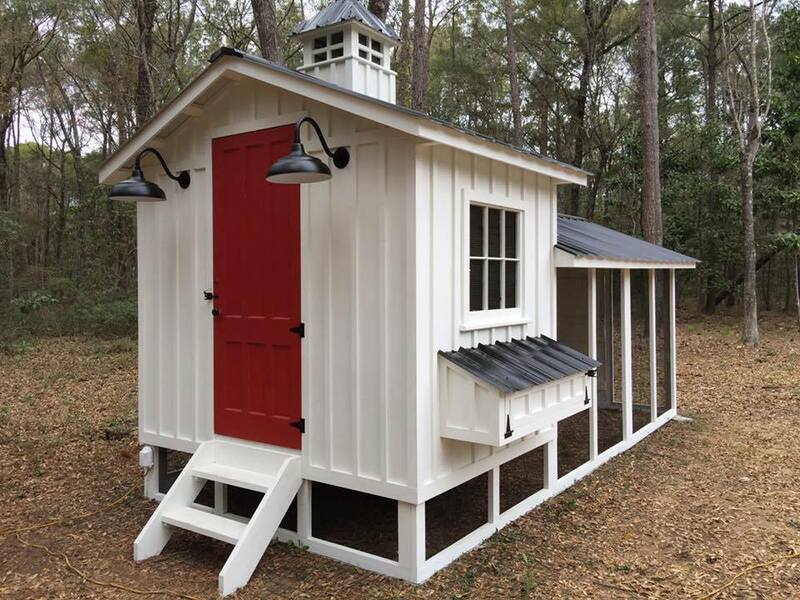 Big and beautiful with hand sawn clapboard siding and built with mortise and tenon joinery in Pittsboro, NC. 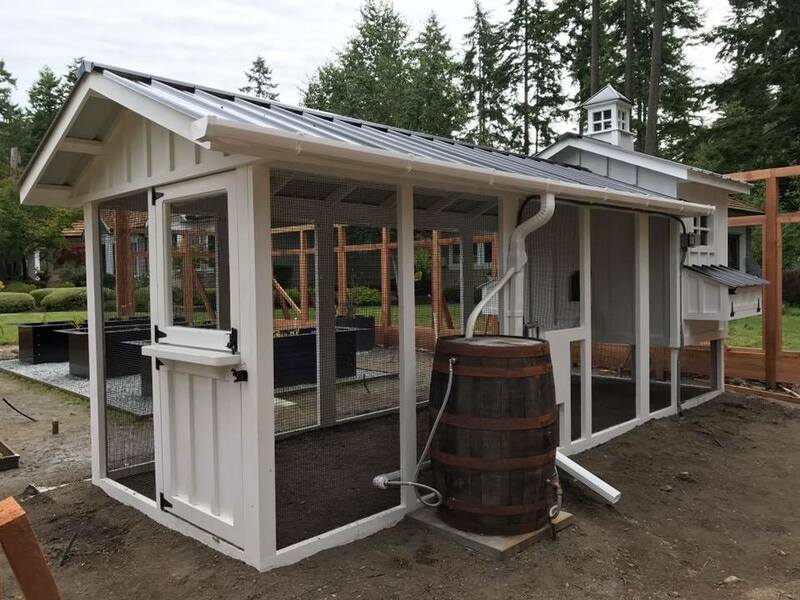 Custom coop built under wrap around deck. 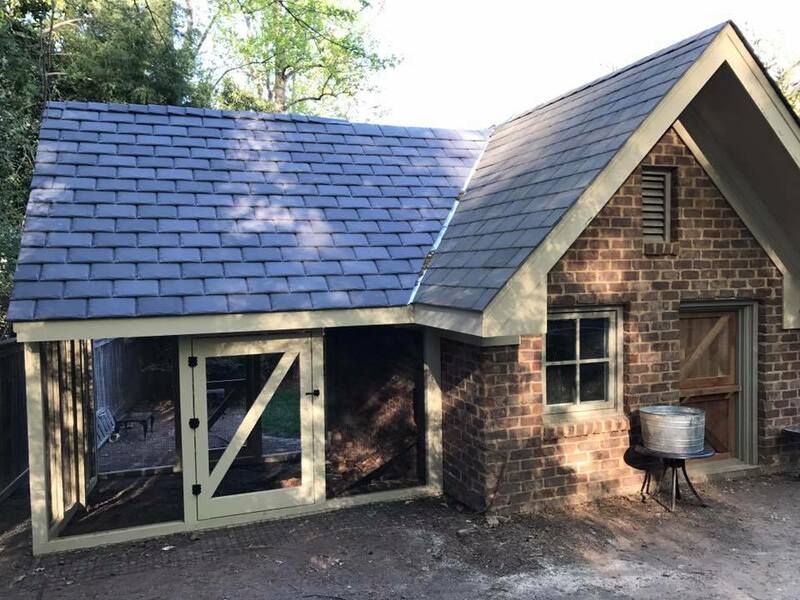 200-year-old reclaimed barn wood flooring made into board and batten siding with arched door in Raleigh, NC. 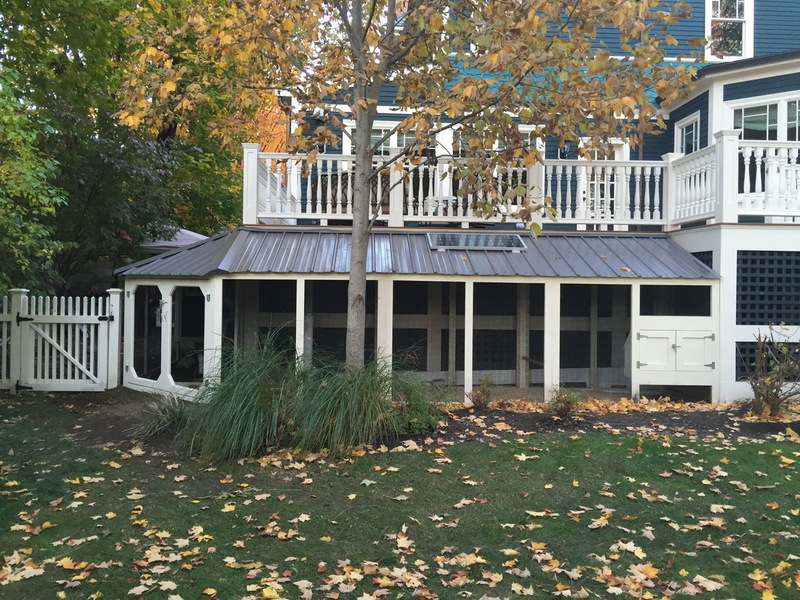 Shed/Chicken coop combo with built-in storage in Providence, RI. 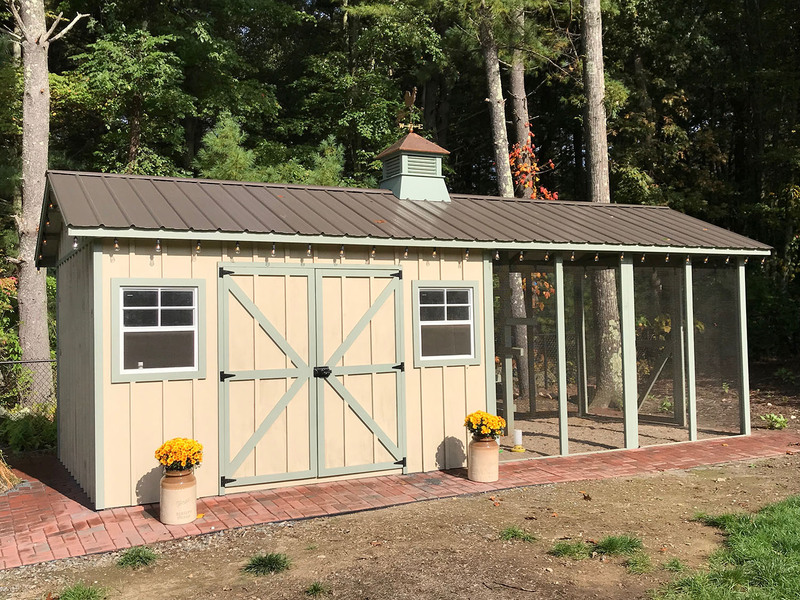 Shed/Chicken coop combo with storage and French doors in Boston, MA.